The Yes 420 is weird. It’s not bad weird but just weird and very different. They said they took the surface area of a 161 and put it into a flat to rocker 148. It’s almost like taking a skim board and mounting bindings on it. None of us wanted to go out on the hill with a 29 cm waist but all of us were glad after we did. Every year there are little tweaks with the shape and set back that might appeal to you more than other years but the general ride is still the same. 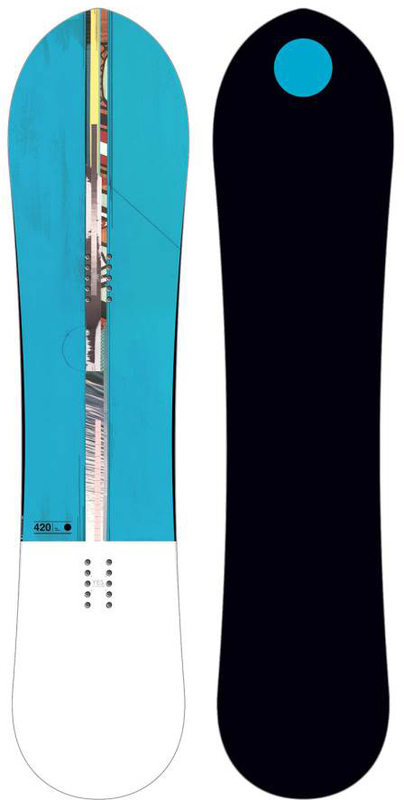 The 2016-2019 YES 420 is made by SWS in Dubai instead of GST in Austria so even though the look is similar and the ride is similar there is a different personality underfoot because they are using new materials. 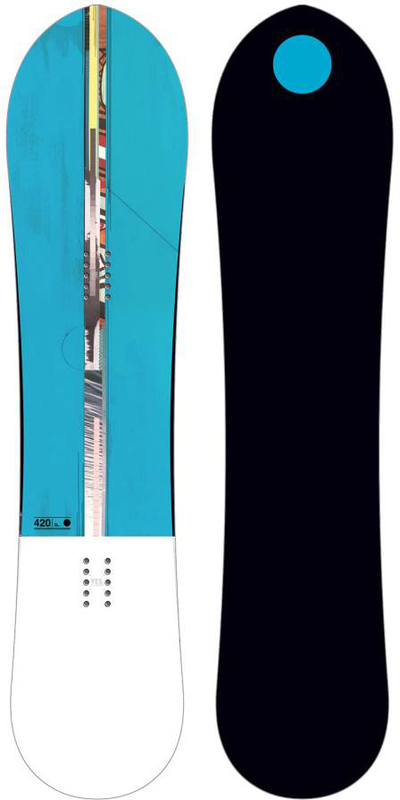 We like the SWS personality a little better because it’s got a friendlier flex and it seems like the tech allows for a little easier pop and better performance in uneven snow. For 2018-2019 the Yes 420 has a little more narrow reference stance. Conditions: About 6″ of light fluffy Utah powder. 1 day on soft Sierra snow but mainly a groomer day. This is one of those boards that I didn’t want our crew to ride but the first time it was snowing and I knew that we were going to get lots of questions about it. So we all reluctantly took it up the hill. 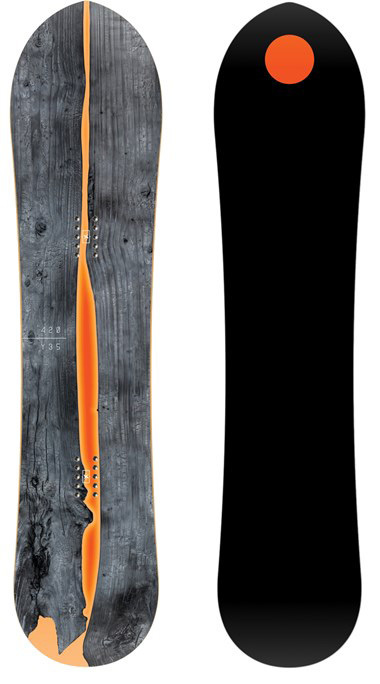 This is not like Burton’s Raduction tech because the waist width is soo massive that the surface area is the same as 162. The 420 widens as it shortens. This is really its own powder board and there is nothing out there like it. On Snow Feel: It’s a strange thing to mount yourself on a 148 with a 28.6 cm waist and then to go out and think it will turn but it does and it feels pretty stable between the feet without being catchy. It’s going to feel a lot more normal than it’s specs but it still feels very much like a quiver board. It’s very stable underfoot, very easy to one foot/flat base and very easy to skid turns with. Powder: The set back seems to change every year. 2013 was centered, 2014 was -20 mm, 2015 is -10 mm, 2016-2019 is -15mm but all years float really well and there is more set back on board than sidecut. What little powder we had felt good. It floated well and it felt like it wanted to sit on top of the snow instead of letting the tail sink and let the nose float. To me, it felt like a super short thick pod like fish mated with a skim board. It’s a fun ride but I’m not sure if I’d like to ride this every time it dumps. 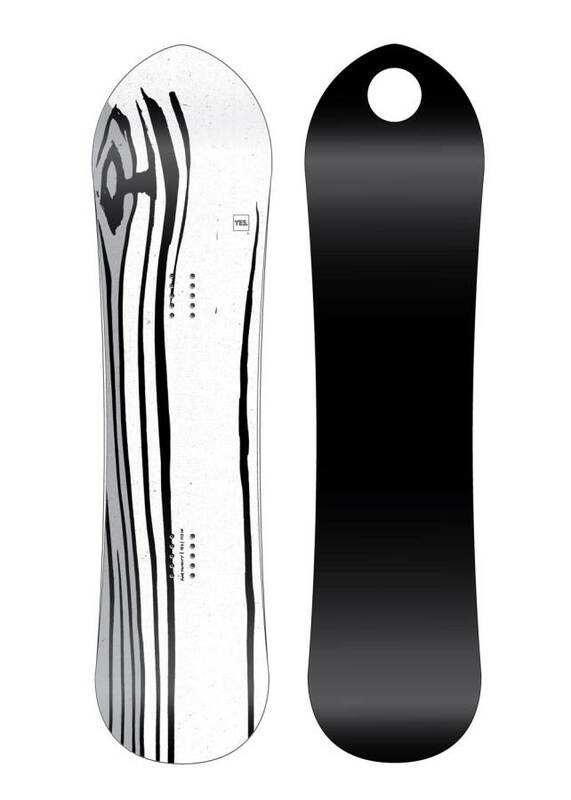 I think some will find this an interesting approach to quiver powder riding and others might be sold on this as the way they would like to ride powder. Turn Initiation: It’s a lot easier edge to edge than you would think for a 28.6 cm waist. I was actually scared that I wouldn’t be able to turn it but instead, it felt like many easy turning mid/wide boards I rode and it was a lot easier than I expected to turn. Turning Experience: It’s like riding a big disc and it’s a very unique turner. Not really for me or for those that like to turn a lot on groomers but its real purpose is powder. Best to leave it at home until it dumps. Carving: Carving wasn’t special but you could lay into a decent carve without it washing out in good snow. It doesn’t really have a spring out of the turn. The 420 PH was better all-around at laying out a hard carve. Speed: Pretty fast and stable at speed. Even though this is a 148 you feel like you can really bomb. Even though I’d rather bomb on the PYL this is a good board for pointing it. Uneven Terrain: There was a little bumpy terrain with emerging moguls and it really didn’t feel super easy. It can buck you around a bit for sure. Edge Hold: Not quite the grip we are accustomed to in the Yes line. You could feel it slip a little here and there over ice patches but it’s good enough for powder riding. Switch: It’s doable and way better than you would think for a board like this. It’s no 2020 but the Yes 420 can make it happen ok and it’s something you can get used to. 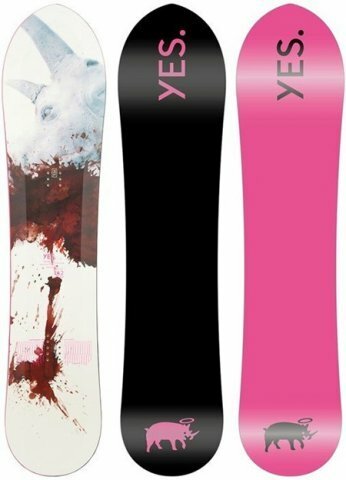 So, all in all, the Yes 420 is a hard board to recommend because it’s such a unique ride but if it calls to be in your quiver, give it a go. We try to get as many images of the YES 420, but forgive us if they're not all there.